This revealing velvet gown is paired with a long-sleeved tulle slip. 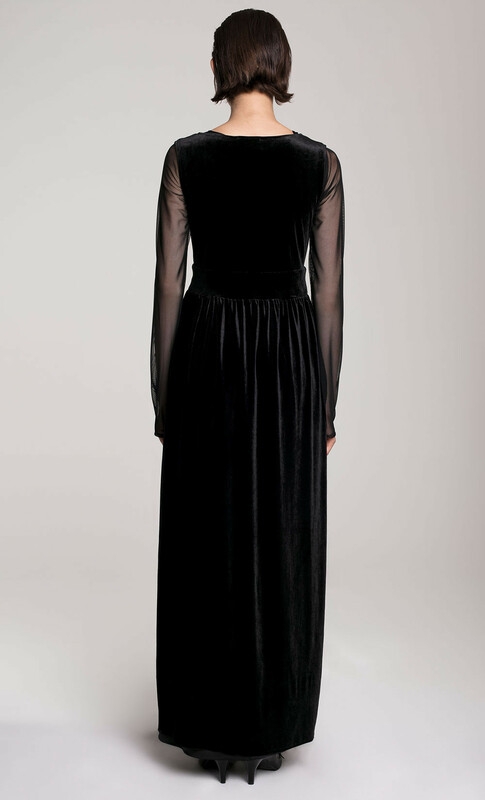 The deep V-neckline at the front of the dress is balanced by the modest and covered back. Keep the gown’s sophisticated seductiveness in focus by styling it with minimal accessories.